Garver congratulates several employees who recently pushed themselves to the limit and conquered half and full marathons. 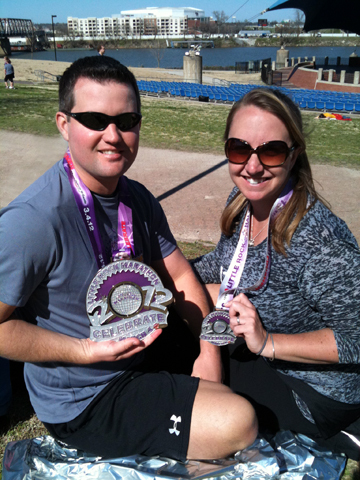 Transportation engineer Scott Donaldson ran in the Little Rock Marathon and finished the 26.2 miles. This was Scott's first full marathon after completing four half marathons. His training included running during lunch breaks and tackling longer distances on the weekends. He ran in the event along with his wife who completed the half marathon. Scott overcame several challenges to cross the finish line. He'd developed inflammation in one foot toward the end of training, and he battled through leg cramps during the race. "Although finishing was every bit as hard as I thought it would be, I may do it again to improve my time," Scott said and then joked, "but I will probably only do the Little Rock Marathon because of the huge medals!" 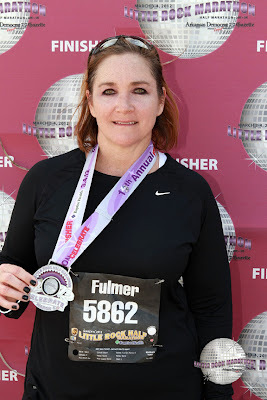 Executive assistant Nancy Fulmer ran in her first half marathon in Little Rock and finished six minutes ahead of her three-hour goal. She followed a 10-week training schedule to prepare for the 13.1 miles, and prior to the race, her longest run had been 11 miles. "A half marathon is something I wanted to see if I could achieve," Nancy said. "I was pretty confident that I could do it, but I just wasn't sure how hard it would be. I'm pretty happy with my accomplishment, and now I'm ready to move on to another challenge!" 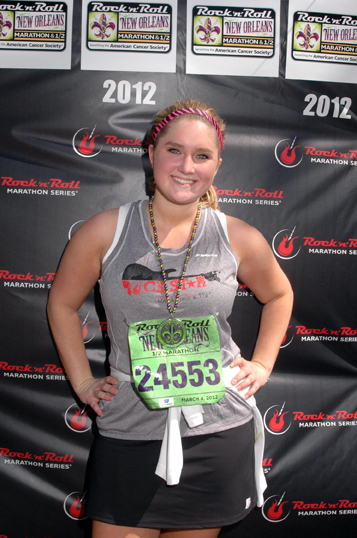 Technical intern and Mississippi State University co-op student Cassidy Burton ran in the Rock 'n' Roll New Orleans half marathon, which was her first half marathon. "My main goal was just to finish," Cassidy said. "Completing a half marathon was something I have wanted to do for a long time but never thought I could do it. It was tough, but once I passed the halfway mark, I knew I could finish it, and I wasn't going to give up." Cassidy began training with her mom by walking and running several miles every morning and pushing herself farther on weekends. Her next goal is to complete a half marathon by running the entire way. After that, she has set even higher goals. "I would like to complete a full marathon, and maybe even try a triathlon!"